I'm sure you've heard the saying Rome was not built in a day. To add to that, you need in average 7 years to take a startup from idea to a scalable business. It took me and my two co-founders 12 years to turn Around25 into the product development agency it is today. This is a story about transformation, the years it takes and the satisfaction of seeing the results, all through the eyes of a programmer turned business owner turned Managing Director and who's now a startup founder. I'm writing this article from my fourth edition of StartupWeekend. 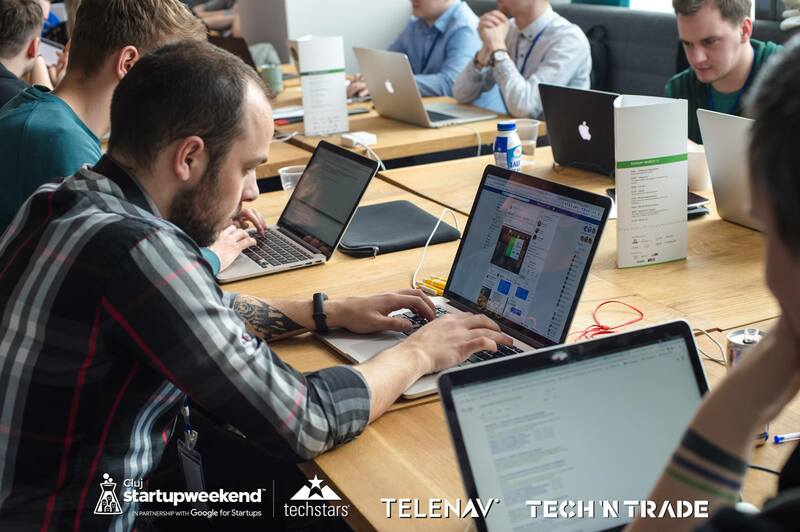 If you're unfamiliar with StartupWeekend, it's a 54-hour competition supported by TechStars, one of the largest accelerators in the world. It starts Friday evening and lasts until Sunday afternoon, during which teams validate ideas, talk to mentors, prepare a pitch and, obviously, try to WIN! This time I'm not here to pitch, or to compete, instead to support my 20+ colleagues from Around25 which make up teams #3 (Vibesmap), #4 (Codemark) and #5 (Go NGO). How did startups become such a big thing for us? Well, in 2014 I was employed by a startup and went through my first 10 months as a core team member. Oh!, the ups and downs, the rollercoaster, the 16 hours workdays, seven days a week. It was that experience that triggered the transformation of Around25 from an outsourcing agency to a product development agency. In outsourcing, the focus is on executing at the best cost/quality ratio possible. Period! In product development, the focus is on creating value. Except for the actual code writing part, the two (i.e. outsourcing and product development) have nothing in common. Imagine the transition Around25 went through - from outsourcing to product development - i.e. receiving a Word/PDF document with requirements and delivering a bunch of code a few weeks/months later - to having founders from Spain/Sweden/USA/Australia in our office and working side by side to change the world. Over the past 5 years we co-founded 3 startups and built another 2 spinoffs. We went through acceleration programmes, pitched in movie theatres, raised investment, failed and got up... again and again. Fast forward to today: Sunday, March 17th 2019. 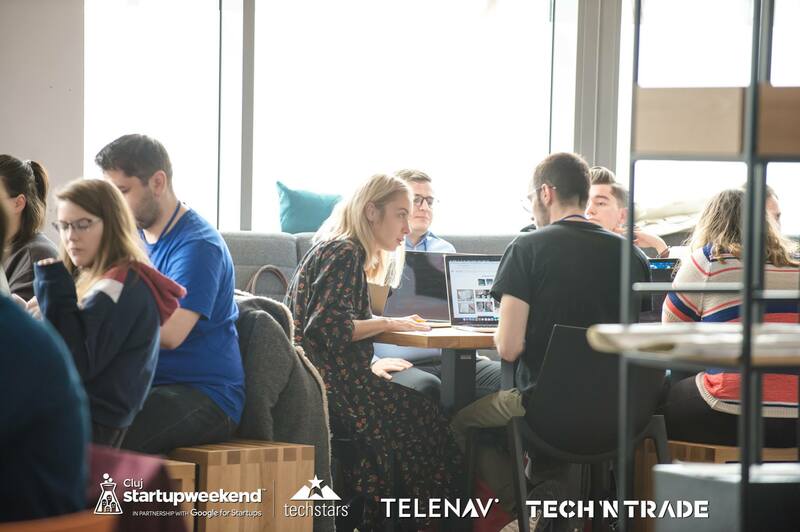 Twenty one people from our company, at StartupWeekend Cluj 2019, building their own products, is the result of this transformation. We're talking about: software developers, QA engineers, designers, marketers, sales and product managers... working on THEIR startups! Not the company's startups and not a client's startup. The value you get out of working with us is not solely in the Product Manager you're constantly communicating with, but in the entire team. Everyone makes a contribution to your startup by throwing out ideas, improving the business model, keeping in mind your users and your mission. The people you'll be working with have gone through pretty much all the stages and emotions you're likely to experience. If you are a founder reading this article please take into account that we practice every day being someone's co-founder. We speak our mind, articulate our opinions, challenge directions and take an active role in your business. In case it sounds intimidating, keep in mind that some of the other founders we work with really appreciate that "we are not afraid to challenge the product and ask loads of follow-up questions". In the end, you should too! Because of the number of startups we work with, the variety of industries, the product-related discussions we have in the office every day, competing at StartupWeekend, going at other hackathons, all of this is yours for the taking if you can truly grasp what a product development agency does and not mistake us for just another outsourcing shop. I have to leave you now, it's Sunday afternoon and the final pitches are about to start. My colleagues are ready to take the stage and I am going to enjoy every second they are in front of the jury. It is the satisfaction I get after years of working towards making Around25 the product agency it is today. If I've made you curious to find out more about what we do just email me at paul@around25.com and let's take it from there. Since we're all about knowledge sharing and transparency, we're constantly adding more startup-related pieces to our blog.